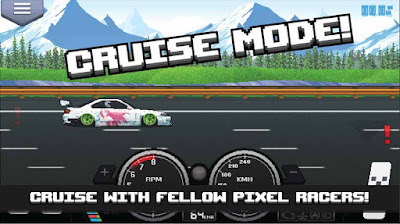 Pixel Car Racer is a Drag Racing Game for Android free to download and I am sharing the mod apk in which you will get unlimited money and much more to buy. 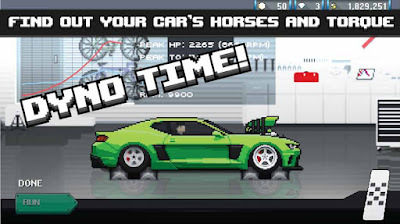 Pixel Car Racer is a Retro Style Racing Game which is featuring an RPG Sandbox experience. You can build your own dream garage with unlimited Car customization. So start your ride to the street and race your way to the top. There are a few of people who are still liking Arcade Game will find this game Good. But who like HD Games like Asphalt 8 or other new game will not love this game. Because of this an old-school Game. Increased of spin limit has come now 5. So you will get daily 5 free spins. New Cars, Parts, Liveries, Hot Rods. And some bugs to improve the game performance. There are over 100+ cars to select and play in the race, choose your best car. It has Racing Style pedals including the clutch. 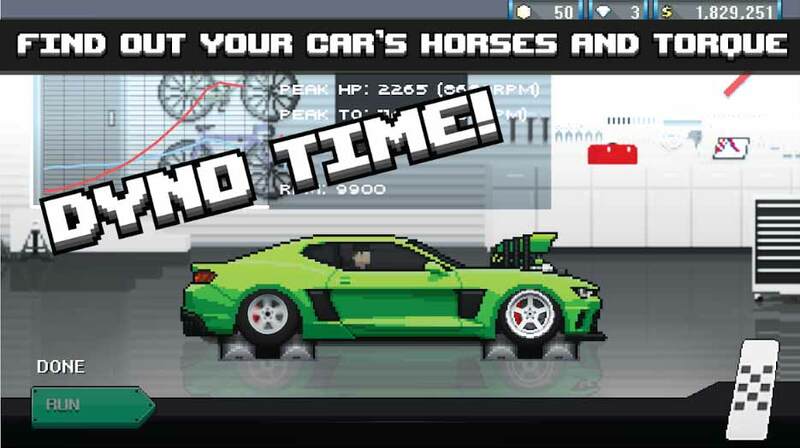 Buy the best car which is suitable for you to win the race. 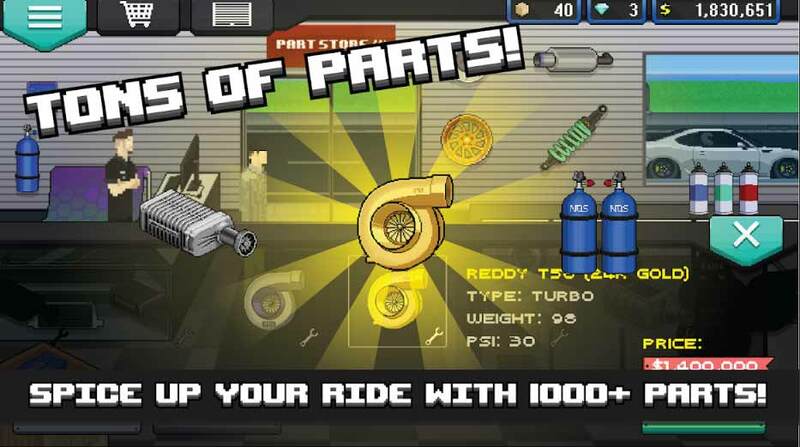 You can also make your car fast to fastest by customizing your car parts. 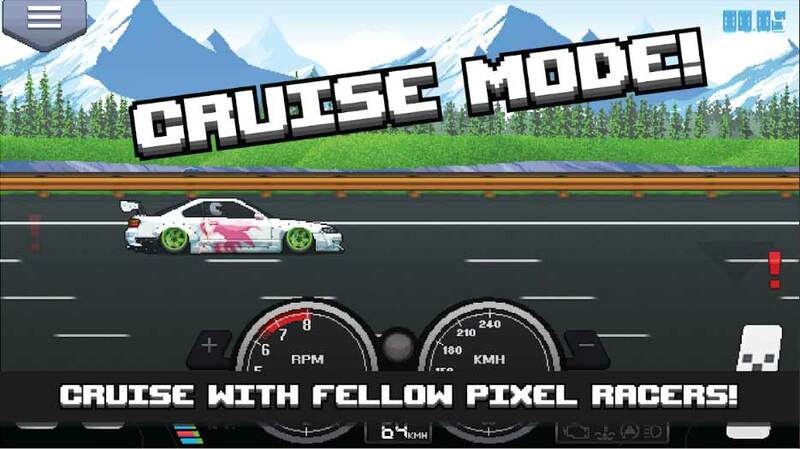 So don't be late, download now and enjoy Pixel Car Racer mod apk for your Android. Or you can give a try of Gameloft Games Asphalt Nitro, it's just 38 MB and it is the best game below 100 MB Games. My Opinion: This game is only for them who like Drag Racing Game. 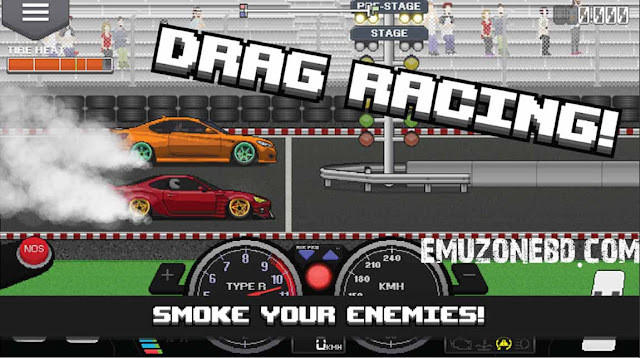 Personally, I didn't like the Drag Racing game. But before download, check YouTube Game Play video of this game.